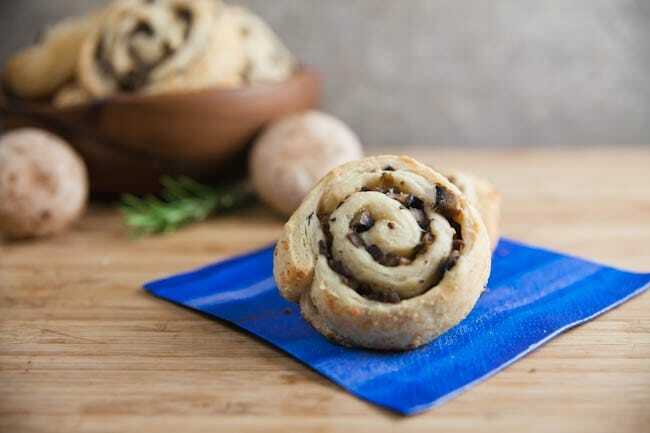 Mushroom + Parmesan Pinwheels | Healthy. Delicious. These delicious mushroom pinwheels are so easy to make! 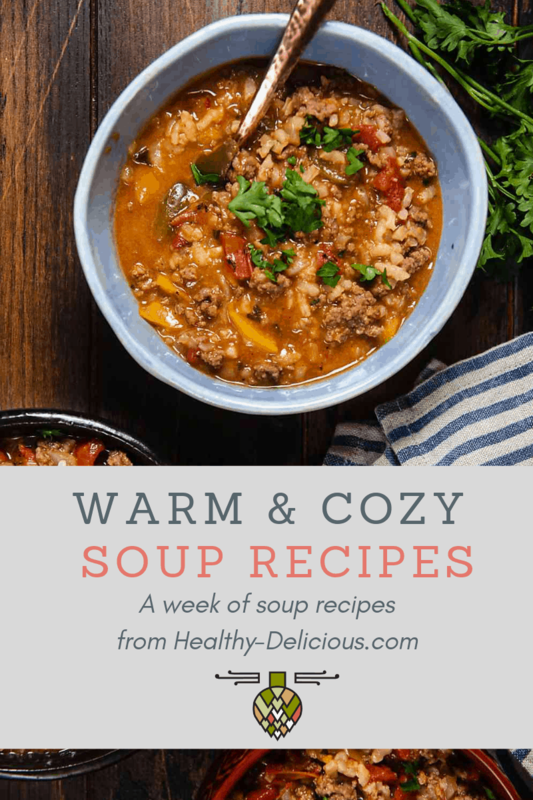 They’re delicious as a side dish with soup or eaten as a snack or appetizer. If you follow along on facebook or instagram, you already know that I pretty much spent my entire weekend in the kitchen. I made a ridiculous amount of awesome food, and I’m so excited to share it all with you! I’ll be posting new recipes pretty much every day through Thanksgiving, so be sure to check back frequently. 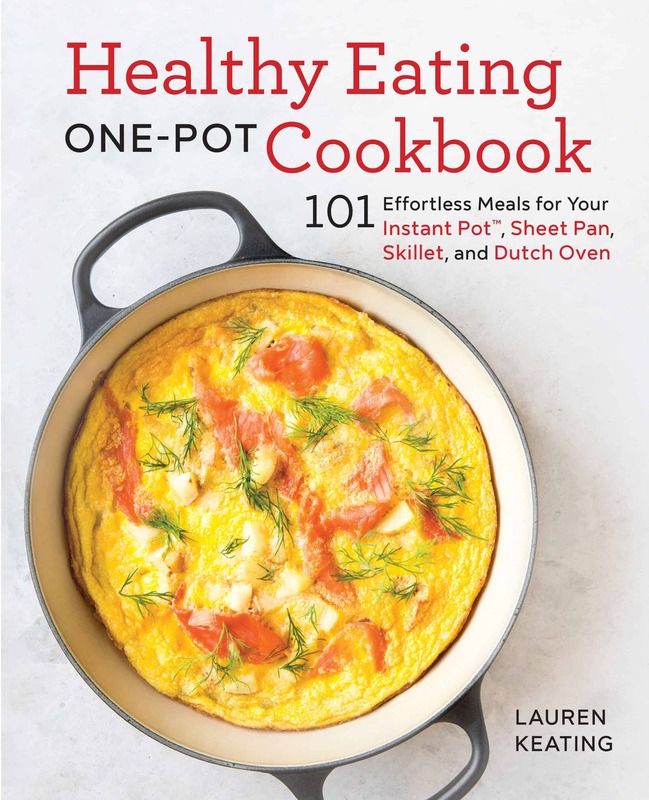 I don’t know about you, but when I spend a lot of time cooking I get a little tired of food and don’t feel like eating a big meal. 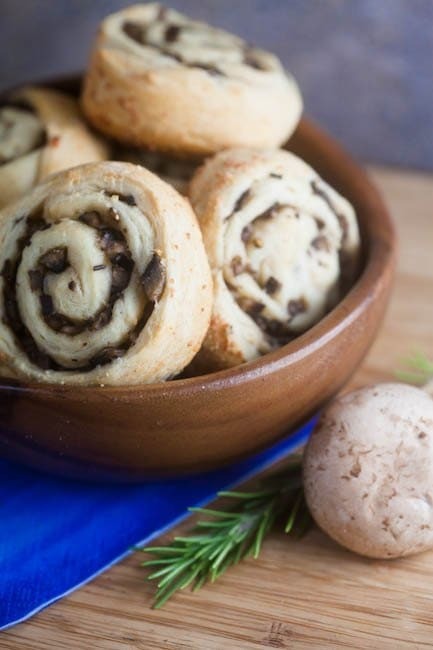 These mushroom pinwheels along with a cup of soup turned out to be the perfect dinner. They’d also make a great appetizer to nibble on before Thanksgiving dinner and, since they’re delicious eaten at room temperature, they’re perfect for bringing along to any holiday potlucks. They’re also really, really easy to make. So, pretty much the perfect recipe right?! Start by sautéing some mushrooms and a pinch of rosemary. I used a combination of crimini and shiitake mushrooms that came in my farmshare this week, but you can use your favorites. One the mushrooms are soft, add a little cooking sherry. This gives them a really great flavor! 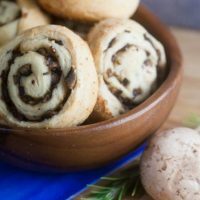 Let the mushrooms cool, then roll them up in some Pillsbury crescent dough.That dough is basically my secret weapon around the holidays – it’s so buttery, delicious and super simple. You can use the reduced fat version if you want, but if you ask me nothing compares to the original. Anyway, spread the mushrooms all over the dough – right up to the edges – and then roll it up nice and tightly. Dust the outside of the roll with grated parmesan and then slice it into eight pieces. For the neatest slices, use a serrated knife and cut with a gentle sawing motion, otherwise, you might squish them (like the one on the right in the photo above). They’ll still taste great, but they won’t be as pretty. Bake for 15 minutes, or until they’re golden brown and the centers are cooked through. 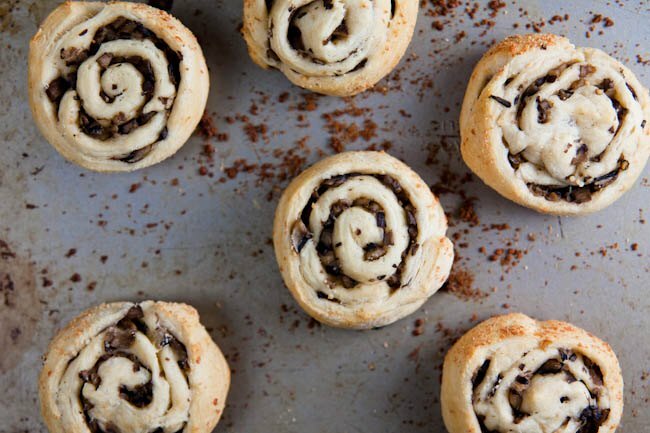 Eat the mushroom pinwheels right away or save them for later, it’s your call! Shawn loved them straight out of the oven, but I preferred them at room temperature. The one thing we did agree on was that we loved them! Despite all of the other goodies that I cooked this weekend, these didn’t last long at all. White mushrooms and criminis are crowd favorites, but experiment with your favorite varieties! I like a mixture of half crimini and half shiitake. In a small skillet set over medium heat, heat the olive oil. Add the mushrooms and rosemary; cook until mushrooms are soft, about 2 minutes. Add the cooking sherry, a pinch of salt, and a few shakes of pepper. Cook, stirring frequently, until the liquid had cooked off, about 5 minutes. Let cool. Unroll crescent dough onto a baking sheet, pinching the seams together to seal them. Spread the mushrooms over the dough to within 1/4 inch of the long edges. 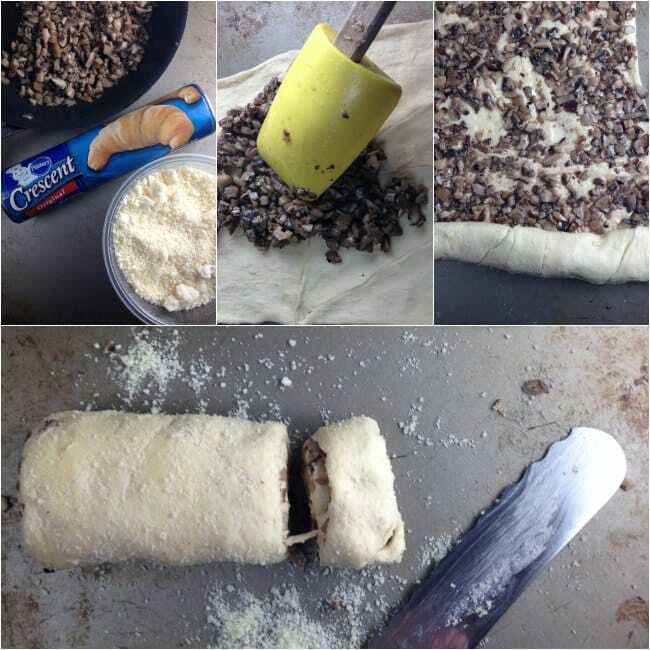 Starting from a short edge, tightly roll the dough into a log. Cut into 8 rounds (For the neatest slices, use a serrated knife and a gently sawing motion to slice the rolls.) Dust the edges of the pinwheels with parmesan cheese and arrange onto a baking sheet. Bake 12-15 minutes, or until golden brown and cooked through. Enjoy warm or at room temperature. Disclosure: This post was brought to you in partnership with Pillsbury. Thank you for helping support the brands that keep me inspired in the kitchen. Get more great holiday recipes featuring crescent rolls at the Serious Eats Recipe Hub.